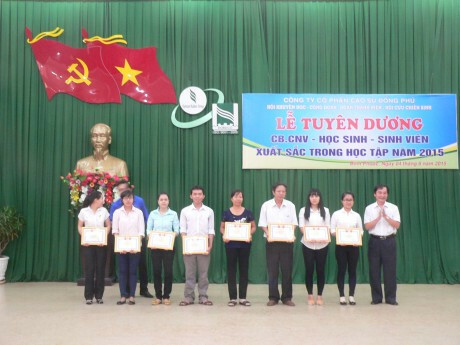 CSVNO – 173 students attained excellent achievement for many years were commended on 4 Aug by Study Encouragement Society, Labour Union, Youth Union and Veterans’ Organization of Đồng Phú JSC. 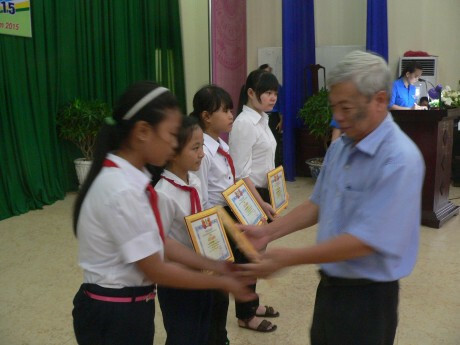 Mr. Phạm Văn Luyện – Deputy Director of our company awarded certificate of merit to students who attained excellent achievement for many years. At Commendation Celebration, Mr. Đặng Kim Mùi, Deputy Secretary of Youth Union, Secretary of Study Encouragement Society reported activities of Study Encouragement Society. 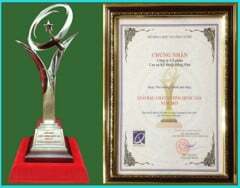 Study Encouragement Society of Đồng Phú JSC established in 2007. Until now, there are 15 branches with 3.600 members in total. 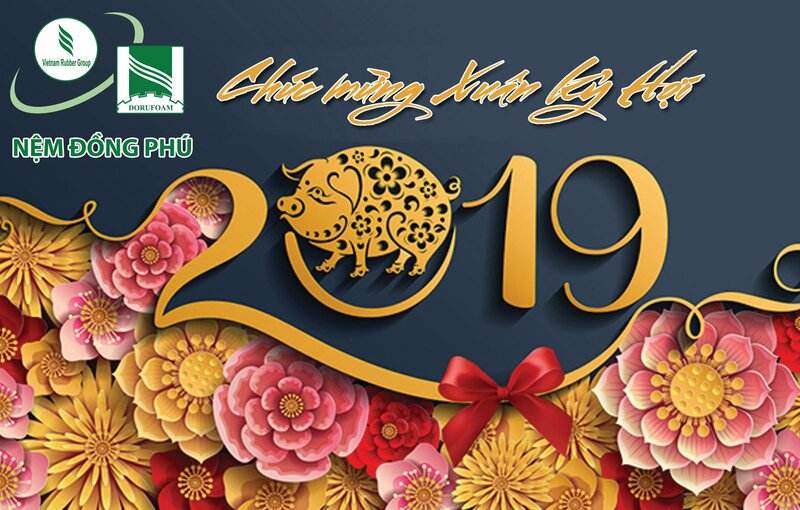 In 2015, Study Encouragement Society of our Company awarded 175 gifts to students and employees who attained excellent achievement for many years with total amount of over 194 million VND. 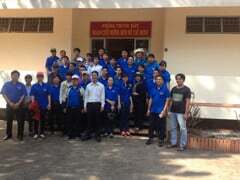 On the occasion of International Children’s Day, our Company organized to visit 32 handicapped children who are children of employees of our Company with total amount of 32 million VND. 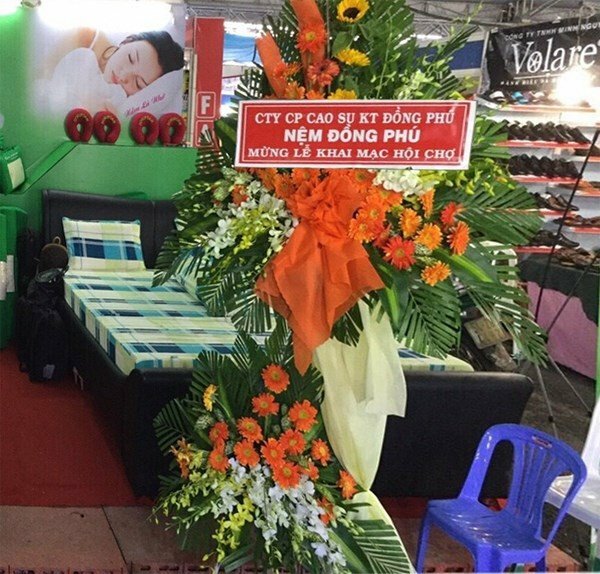 At the branches, 832 children who had excellent results in studying in the schoolyear 2014-2015 were commended and awarded books and notebooks with total amount of over 57 million VND. 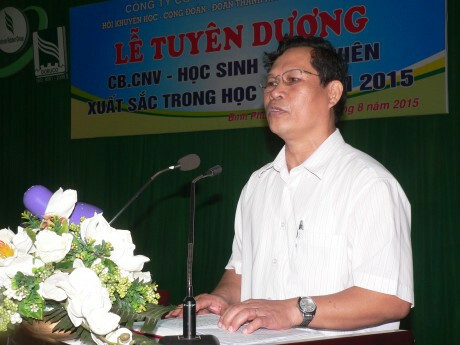 Mr. Nguyễn Sư Sơn – Chairman of Labour Union, Chairman of Study Encouragement Society, stated at the Commedation Celebration. Mr. Nguyễn Sư Sơn – Chairman of Labour Union, Chairman of Study Encouragement Society said that although operation of the first 7 months of the year has many difficulties, Leaders of units direcly under our Company still created favourable conditions for Study Encouragement Society to operate, so that employees’ childrens can get support timely. 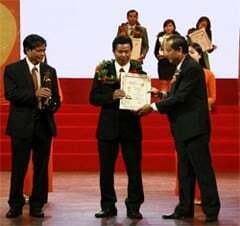 Meritorious teacher, Chairman of Study Encouragement Society of Bình Phước Province. 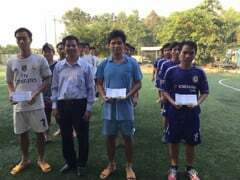 Mr. Nguyễn Ngọc Am (at the right) awarded certificate of merits to students who have excellent achievement in studying. 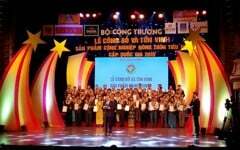 At Commedation Celebration, Meritorious teacher, Chairman of Study Encouragement Society of Bình Phước Province said that he appreciated operation of Study Encouragement Society of Đồng Phú JSC. 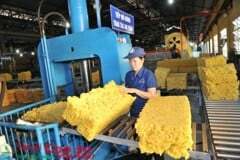 “Study Encouragement Society of the Company doesn’t only take care, encourage and award students who are employees’ children of the Company, but also support other students in the province.”, Mr. Am emphasized.